Discover the Lake and Volcano district in Chile. Hiking and Biking Chile’s south backroads is the ultimate green tour. This well supported biking and hiking program has been especially made for active people who love nature. Upon your arrival, our staff will meet you at Temuco Airport and drive you 90 minutes to the city of Pucón – the capital of adventure tourism in Chile – where we’ll check in at your hotel and have a rest. That evening we will check and fit your bicycles, have an orientation and briefing session, and enjoy an introductory dinner with your guides and fellow riders. We’ll cycle from our hotel to Lake Caburgua and then towards Pucon’s famous Hot Springs. The ride today is a combination of rolling hills with several short climbs at the second half of the road. Throughout today’s ride our guide will help us identify several species of birds and trees as we cycle next to beautiful farms and enjoy views of the Villarrica volcano. With a little good luck, we will see smoke coming out of this active volcano. After cycling the rolling and sometimes hilly road to the hot springs, we will enjoy lunch and then a soothing soak in a hot mineral bath. Later we’ll take a short ride in the vans back to our hotel in Pucón, or you can ride in your bike if you want. Evening at leisure, dinner NOT included. Lodging at the hotel of your choice: Antumalal (4*), Martina de Goñi (3*), Geronimo (2*). Bike traveled distance = 52 km / 32 miles (+ 22 miles if you want to ride back to Pucón). Time cycling: 3 hours approx. Time driving in the van: 40 min from Hot Springs to hotel in Pucón. Following the break, we keep going through an easy terrain and visit the third lake called Verde (green) which is the last attraction of our hike. Now we can commence a two-hour decent by the same trail to the parking area. Return to Pucón at 5pm. Evening at leisure, dinner NOT included. We’ll cycle from your hotel in Pucón toward a small Mapuche village located near the border with Argentina. Here we can visit a Cultural Center and learn about the Mapuche, the area’s indigenous people. The first 45km of the road today are generally flat with a few rolling hills – just enough to get your legs going. But after that we can climb a 10km section on new asphalt (international road to Argentina) and then get back to the Mapuche village enjoying 20 km riding downhill. Along today’s ride we’ll cycle alongside river Trancura while enjoying views of three volcanoes, Villarrica, Quetrupillan and Lanín. Return to Pucón. Upon arriving to Pucón, we’ll check the mountain gear for ascending Villarrica Volcano next morning. Time cycling: 5 hours approx. Time driving in the van: no driving today. Breakfast at hotel and early drive to Villarrica Volcano (6:45am). Began the ascend to Villarrica Volcano, from 5-8 hrs. depending on the pace. Back to town and free time. Box lunch included. This morning you will have to be ready at 6:45am and if the weather conditions are favorable, we’ll start driving to the Pucón Ski Resort located at the base of the volcano at 1.400 meters / 4.593 feet. Ascending the active Villarrica Volcano is without a doubt a once in a lifetime experience, the climb is not technical, but you need to be in good shape to reach the summit. Once we arrive at the parking lot we can buy the lift ticket that will take us to the higher part of the ski courses at 1.800 mts / 5.906 feet, saving us almost 2 hours of climbing.. The views from the top are absolutely mind-blowing, overlooking five lakes and several volcanoes in the distance such as Llaima and Lanín. The descent is quite fun, especially when we can slide down the snow on our rear ends. We’ll return to the vehicles around 5 pm and immediately head off to Pucón, where we hand back the gear. Departing from Pucón, we drive 40 miles by minibus to Coñaripe, where we take a 20-mile dirt road that leads us by the Llancahue river valley to the National Park Villarrica. We will see several majestic snow-capped volcanoes such as Quetrupillan and Rucapillan. The vegetation changes from raulí (Nothofagus alpina) and hualle forests (Nothofagus oblicua) to gigantic thousand-year old araucarias as we ascend to Chinay, the higher point of the day at 1.250 meters / 4.101 feet above sea level. After approximately 2 ½ hours of steady hike, we’ll arrive at the Pichi Llancahue Glacier trail, where we’ll take a good break and grab a bite of a snack. Later we’ll hike the trail (2 ½ hours round trip) that leads to a phenomenal glacier which is absolutely covered by the volcanic ashes of the Villarrica volcano. Once again you’ll enjoy the stunning views of four volcanoes. Back to the entrance of the trail, we’ll hike back to the exit of the park. Then we’ll visit the fantastic Geometricas Hot Springs. Each day brings new beauty on this tour, and today is no exception. Today we will ride one of Chile’s most scenic roads, The 7-Lake Route. We’ll pedal alongside the shores of two beautiful lakes, Calafquén and Panguipulli, and cover three-quarters of the way around Villarrica, a majestic, snow-capped active volcano. This road is smooth and quiet as almost no vehicles drive here. At one point we should be able to see five volcanoes. We’ll have a picnic lunch by the beach of Lake Panguipulli – meaning “land of lions” – while enjoying the views of Chile’s southern volcanoes. From here we contiue riding alongside Lake Panguipulli until the end of the paved road near Choshuenco village. From this point will drive back to Pucón. Tonight we’ll enjoy a farewell BBQ dinner with our friends and local guides. Bike traveled distance = 94.7 km / 58.8 miles. Time cycling: 6 hours approx. Sadly, it’s time to say good-bye to the beautiful Lake & Volcano District of Chile. After breakfast, we’ll ride in vans to Temuco’s Airport to catch your flight back to Santiago. It’s been a trip you will always remember! ◦ Group rates based on 10 people, USD $2,745 per person based in double occupancy. ◦WE ALSO HAVE A LUXURY VERSION OF THIS TOUR, ASK FOR OUR PRIVATE DEPARTURE LUXURY TOUR AND ITS RATES. ◦ 07 Nights’ accommodation at 3* hotel in Pucon. ◦ Meals as per itinerary (B: breakfasts, BL: picnic lunchd, L: Lunch, D: Dinner). ◦ Basic cycle parts (cable housing, tubes, tires and spokes). ◦ All activities according to the itinerary. ◦ Entrance fee to Malcahuello Thermal SPA. ◦ Entrance fee to national parks and all activities according to itinerary. ◦ All our programs can be modified according to your requirements or your client’s needs. ◦ International and local flights. ◦ Other cycle parts and components (derailleur, crankset, fork, etc). ◦ Tips, beverages & cocktails on menus. ◦ Bike rental available upon request. (USD$ 250). We can confirm this tour with a minimum of 2 clients. Let us know you are interested and we will email you our booking form. ◦ WE ALSO HAVE A LUXURY VERSION OF THIS TOUR. ASK FOR A PRIVATE DEPARTURE LUXURY TOUR AND ITS RATES. ◦ Available from October 2018 to April 2019 upon request. ◦ Available from October 2019 to April 2020 upon request. Medium, designed for people who lead active lives and are comfortable participating in up to  hours of physical activity per day. Programs at this level generally involve some activities of higher intensity and/or a more vigorous pace. We advise you to bring clothing for warm and cold weather; also including helmet and cap, brightly colored cycling jerseys, arm and leg warmers, base layers, windbreaker, booties, gloves, two pairs of sneakers, a waterproof jacket and any other waterproof item, sunglasses, bathing suit and sandals. Don’t forget your camera! Visa to enter Chile: No advance Visa application is needed for entry into Chile. Australian and Mexican citizens entering Chile for tourism purposes will be charged a $160.00 processing fee payable on arrival. Cash and credit card accepted. US and Canadian citizens no longer need to pay the reciprocity fee ($160.00)to enter Chile. A valid USA or Canada passport is required travelling as a tourist for 90 days..
Generally the weather in this area is very similar to Northern California, specially the coast side. Late October and November (spring time in the southern hemisphere) present milder temperatures (50°F / 77°F) with some scattered rain. During December you can start feeling the beginning of the summer with temperatures around 50°F / 81°F. In January and February temperatures range between 60°F / 95°F. Remember that you are visiting the Lake & Volcano district, so always expect some rain! We highly recommend getting the Chile Airpass ticket with Lan Airlines, which includes the international flight from your country to Santiago (Chile) and the domestic flights Santiago(SCL)- Temuco(ZCO) / Puerto Montt(PMC)-Santiago(SCL). This Airpass is definitely less expensive than buying the flights separately and what’s more important it is very flexible if there are some unexpected last minute changes. Lan Airlines Airpass can be purchased at any IATA travel agent. Besides your own on-road safety gear (helmet, rear-view mirrors, bright colored jerseys and gloves) we provide a support vehicle that drives at the rear of the group with a road-sign that alert other drivers the presence of bike riders on the road. Drivers in Chile are used to bicycles on the road, so they shouldn’t bother you while riding. All our staff communicates by radio at all times. In order to ensure that the timing and logistics of the rides and tour go more smoothly, please be informed that from the time that it takes for the first rider to complete a ride, the transportation vehicles will wait a maximum of 90 minutes for the remaining cyclists to finish riding. After this point, the riders yet to reach the finish line will have to get into the vans and be transported in the vehicles to reunite with the group. If you bring your own bike, make sure they have tires of at least 28 cm size. Although the road surfaces are normally in fine shape, one never knows what condition they will be in after the winter. Pack your bike well in a cardboard box that we can easily dismantle for its transportation during the tour. Standard size bike hard-cases are welcomed, nevertheless if they are extremely oversized they might have to be shipped to Puerto Varas (last city in the tour) at your own cost (USD $50 approx). If your wheel size is different than 700, you MUST bring your own parts (tires, tubes and spokes). Likewise, if your wheels have any special features make sure you bring your own special spokes. 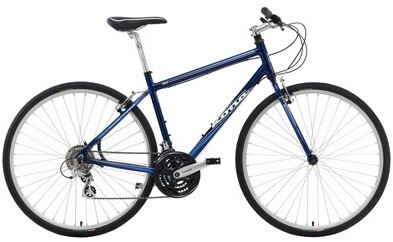 If your bike is like one of the Bike Friday models, please make sure you bring enough bike parts (especially: tires, tubes and spokes), as in Chile there are no places where you can purchase any part for that kind of bike. 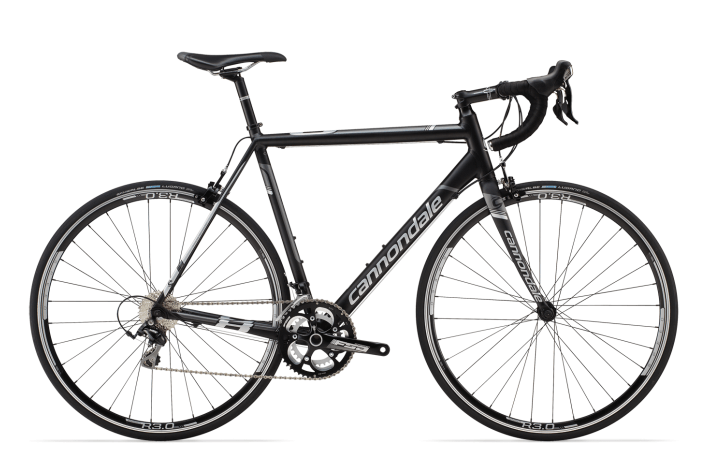 Our company counts with great rental bikes: Cannondale Caad8-5 105 Alloy- 2014 road bike or similar. If you rent one of our great bikes, feel free to bring your own pedals, seat and seat post (27,2 mm). Also remember you MUST bring your own helmet and two water bottles. There is nothing to be worrying about altitude sickness. We will never get higher than 4,200 feet (second day ride). Travel checks are not convenient because only few places accept them and the exchange rate is 10% lower than dollar bills. Most credit cards are accepted at shops, restaurants and hotels. The most common cards are Master Card, Visa and Dinners Club. American Express is less commonly accepted that the others. There is no need to bring a large amount of cash; there are ATMs almost everywhere we go on the tour. The maximum amount of money that you can withdraw per day is equivalent to $360.000 CLP.